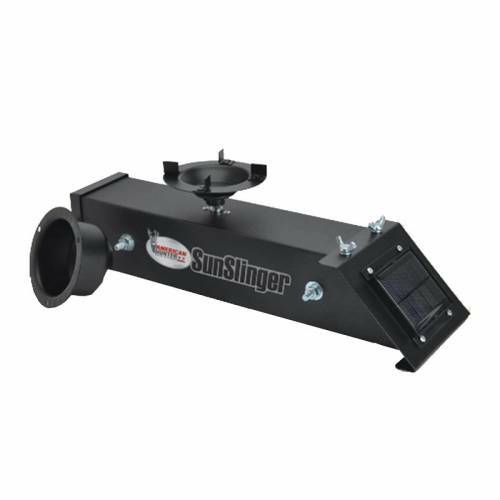 American Hunter 6v Sun Slinger Deer Feeder Kit. All inclusive is this 6v battery operated deer feeder that has its own built in solar panel. This deer feeder kit has no exposed wires to worry about varmint tearing up, small and compact unit. Perfect for those locations where you do not want to mess with replacing batteries all the time. Mounts to any deer feeder barrel.